Intellectual Property Litigation, published by the Intellectual Property Litigation Committee of the ABA Section of Litigation © American Bar Association. Recent developments in Federal Circuit case law regarding covenants not to sue, “have made” rights, and foundry rights, may require a rethinking of standard provisions to better express the intent of settlement and license agreements. This topic is reviewed by co-author Donald W. Rupert in an article entitled, "Covenants Not to Sue In Light of Federal Circuit Decisions," which appeared in Intellectual Property Litigation, a Fall 2010 publication of the American Bar Association. 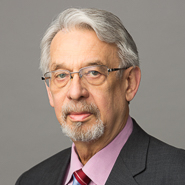 With 30+ years’ experience, Donald W. Rupert has handled over 100 IP litigation matters in the chemical, consumer products, heavy equipment, pharmaceutical, and computer industries. He has been lead trial counsel in jury and bench trials, in the US and internationally, and lead appellate counsel in IP appeals; he has also acted as lead IP attorney in commercial transactions having a cumulative value of over $15 billion. His skills have been acknowledged by Martindale-Hubbell® (AV rating), Best Lawyers in America, Leading Lawyers, and The Legal 500, which noted that clients describe him as a "person of ethics and integrity, with strong expertise."